Thanksgiving is coming up quickly. This month wouldn’t it be a great idea to fill it with crafts that remind us what this Holiday is all about….. being thankful. We all have so much to be thankful for. 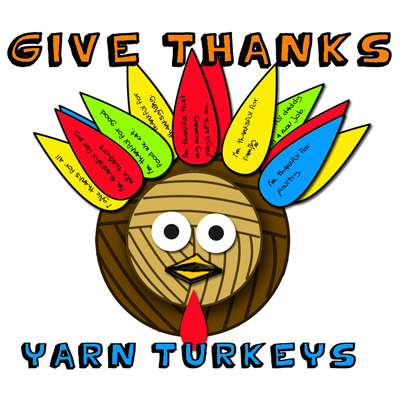 So, in this link roundup I have scoured the internet to find crafts that all have to do with being thankful. Each craft is a lot of fun and all can be used as a Thanksgiving decoration…. but most of all they remind us to be thankful. With these crafts you will be doing them as a family…. and family is one of the most important reasons to be thankful. So, get ready to spend some time looking at some amazing Thanksgiving “Giving Thanks” Crafts….. you are sure to find one that you will love. 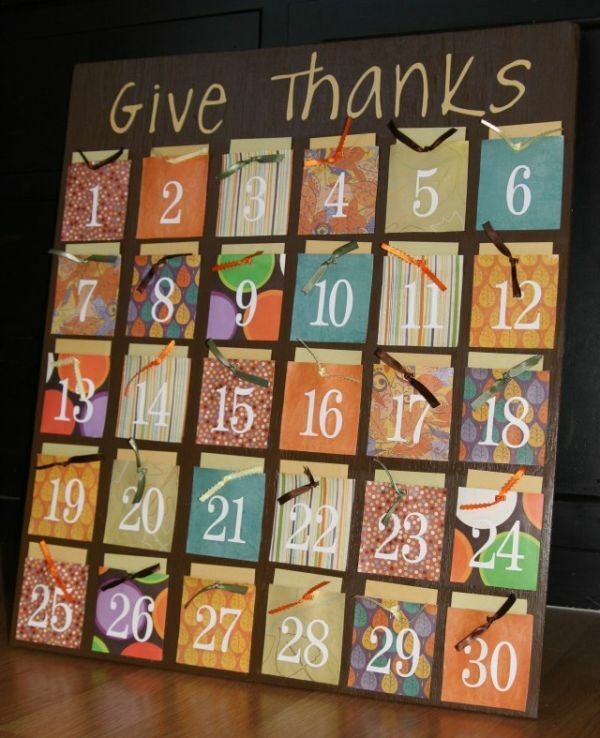 This Thanksgiving craft is kind of like a Holiday Advent Calendar. You and your family can express your thanks and gratitude simply by writing your thanks on your color piece of paper and adding it to the envelopes. Look at them each day to remind each other what you are Thankful for. I found this great Thanksgiving craft at Parents.com. In this Thanksgiving thankful craft Jeanne Winters shows you how to create these amazing napkin rings that inspire your Thanksgiving guests to go around the Thanksgiving table before the feast and let everyone know what they are thankful for. This Thanksgiving thankful craft was one of our crafts posted last Thanksgiving Season. 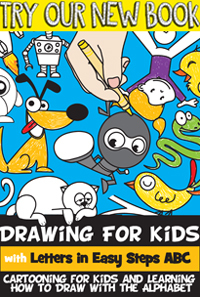 It’s a craft that your children will love putting together. Plus, it is part finished when it is presented at the Thanksgiving table and finished by the guests adding to each feather what they are thankful for. Check it out. Here is another advent calendar idea using this time a tree. 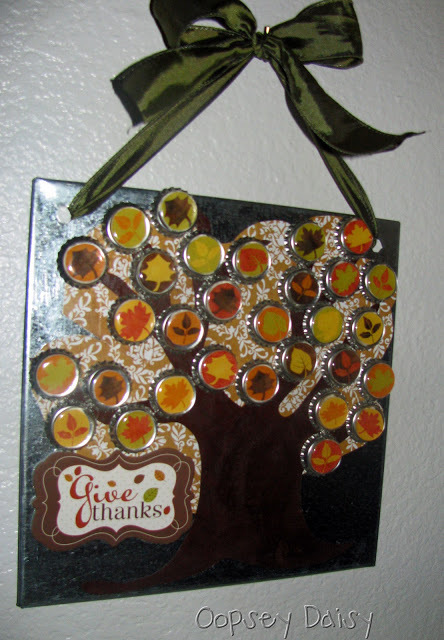 Trees are great for this Thanksgiving craft because they have many branches to add your thankful ideas to…. plus trees are perfect for this fall craft. Oopsey Daisy came up with this Thanksgiving craft and I love it. Check it out to see how she uses a magnetic sheet and bottle caps for this craft. This Thanksgiving thankful craft is similar to the first one, but instead of it being a garland it is actually all out on a board. What is really cool about this Thanksgiving thankful craft is the use of a variety of coordinating scrapbook paper giving it an amazing look. Check it out for yourself at JellybeanJunkyard. Here one family shows you how they use a Thankful Bucket to remind each other what they are thankful for this Thanksgiving season. 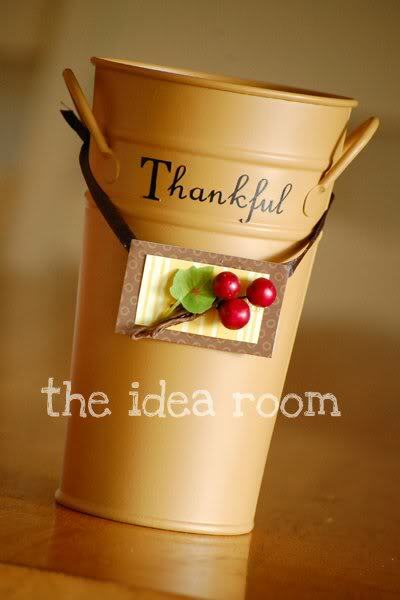 Here The Idea Room shows us how to put together this festive bucket. Have the family fill it with things they are thankful for…. after dinner share these things with the rest of the family. Great idea. Here is a clever idea by Flamingo Toes. 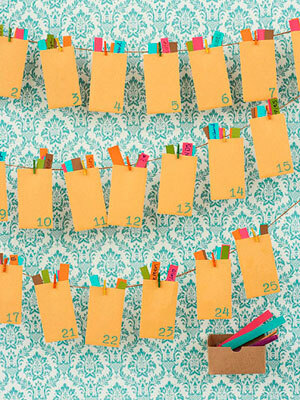 Here the writer of this post shows you how to make a place that your family can write down what they are thankful for. This particular Thanksgiving thankful craft is made with glass over the embroidery so they can write different things all month long. They can wipe it clean and start over as often as they would like. 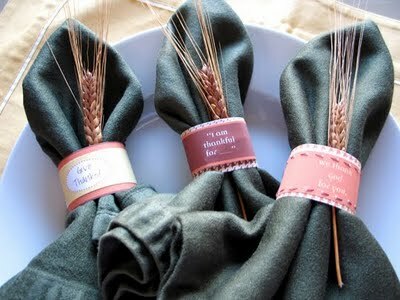 Here is a cute Thanksgiving thankful craft. And, one that looks awesome as a Thanksgiving decoration. Full Circle shows you how to make this festive craft. 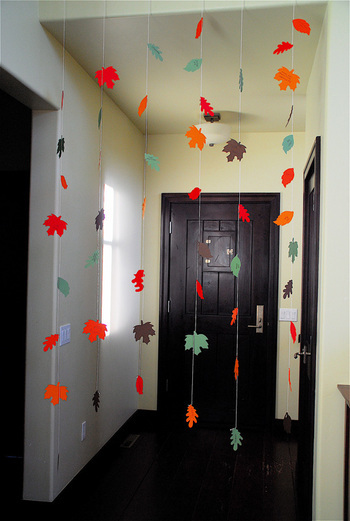 Simply string together construction paper leaves and have family members write on the leaves what they are thankful for. String together as garland for all to see. Here is a great Thanksgiving thankful craft that is perfect for even the youngest of crafters with just a lit bit of help from you. Playful Learning shows you how to make one of these Thankful Trees for your houses. 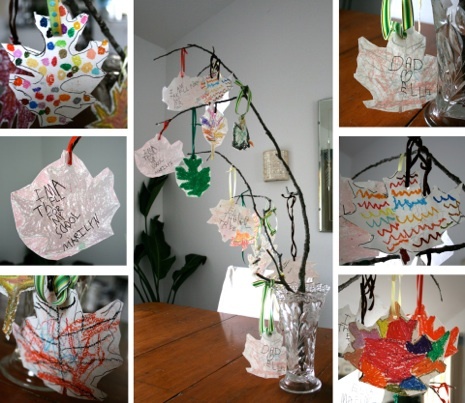 Simply have the kids make leaves, color them and cut them out. Have the children write down what they are thankful for. She will show you how to finish it off with a tree branch. Check it out for yourself. 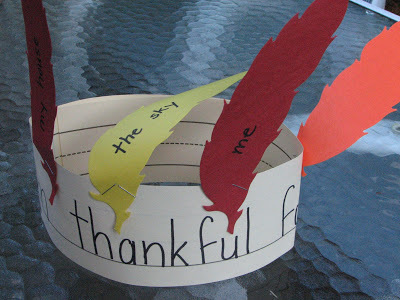 Here is a fun Thanksgiving thankful craft that the little kiddies will love. Dim Sum, Bagels and Crawfish shows you how to make this craft. The kids will love making it, but even more so love wearing it. If you are having a Thanksgiving dinner at your house considering doing this craft with the little ones at your feast…. they will love it. Flip Flops and Applesauce shows you how to take some paper and posicle sticks and make it into a beautiful and meaningful table centerpiece for Thanksgiving. Make sure to involve the whole table…. 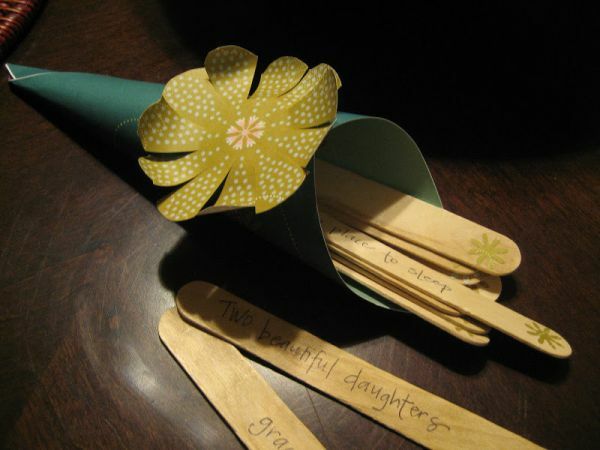 have your guests each write down what they are thankful for and read them out loud. Here is a cool Thanksgiving thankful craft that also works as an awesome Thanksgiving wreath decoration for the Holidays. I found this Thanksgiving craft over at Chica and Jo. This amazing Thanksgiving wreath is made from Clothespins. 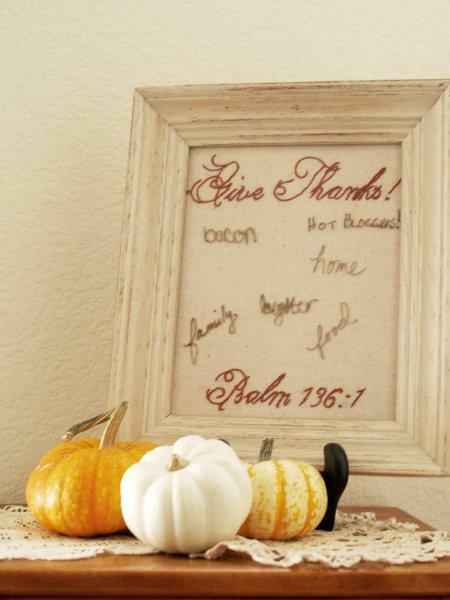 Add a sharpie to your wreath and let your visitors add what they are thankful for. Save it for years to come.